The Digital Display Network includes hundreds of local media and local community websites visited by online audiences throughout Minnesota. Get your message out and get your products and services seen by potential customers with the help of Greater Minnesota Digital Services. If you wish to reach a specific area instead of our regions, please contact us for a custom quote. Deadline for ad copy and payment is 4:30 pm on Mondays. The campaign will begin the following Monday, pending network copy approval. 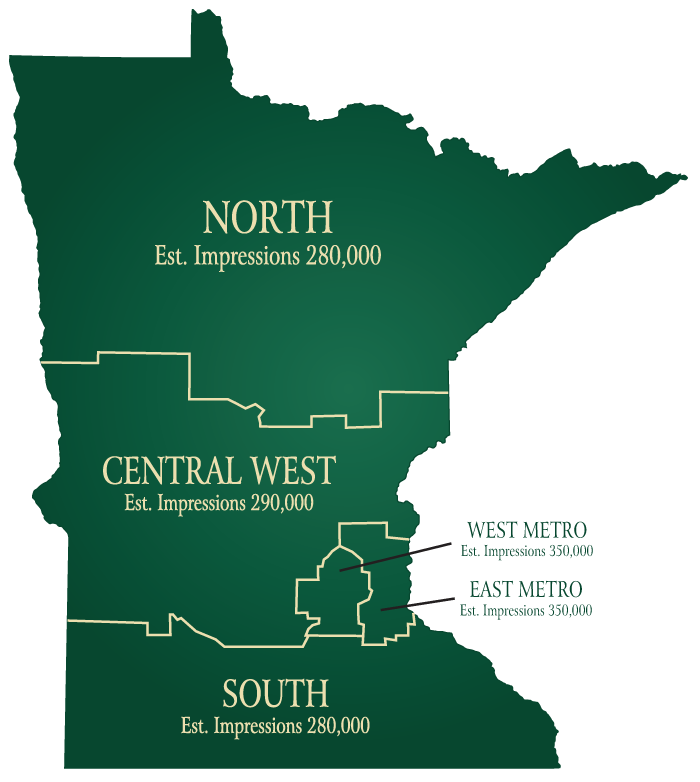 Please contact a Greater MN sales representative for more information or to get started with your digital display campaign! Copyright © 2019 Greater Minnesota Digital Services.